Robert David Simon was born on the 29th May 1941, in the Manhattan, New York City USA, and was a television correspondent for CBS News, who during his career covered many major wars, political events and other crisis in more than 60 countries around the world. His career was active from 1969 until his passing in February 2015. Have you ever wondered how rich Bob Simon was, at the time of his death? 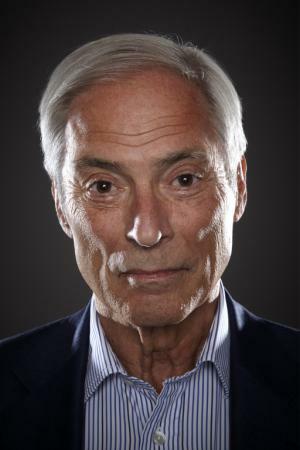 According to authoritative sources, it has been estimated that Bob Simon`s net worth was as high as $2 million, an amount he acquired through his career as a journalist and broadcaster. Bob received a degree in history form Brandeis University in Waltham, Massachusetts in 1962. Two years later, Bob joined the American Foreign Service, and was a part of the program until 1967, becoming a Fullbright scholar in France and a Woodrow Wilson scholar. In 1969 he joined CBS, and was stationed at the London Bureau until 1971. He was then transferred to Ho Chi Min until 1977, covering the Vietnam War. Between 1977 and 1981, he was a part of the Tel Aviv bureau of CBS News. These early works, only encouraged him to continue to climb his way up the ladder, and also increased his net worth. His next stop was the American capitol, Washington D.C, being the State Department correspondent, but that lasted only a year, after which he moved to New York, and was CBS`s correspondent for New York until 1987. After that, Bob was sent to Middle East again, as the chief correspondent for the region. He was captured and held for 40 days in prison by the Iraqi people, but luckily all ended well for him and his news team. In 1996, Bob was named as the correspondent for the documentary show “60 Minutes”. Until his death he was the lead correspondent for the show, and also contributed to a couple of episodes of “60 Minutes II”. Thanks to his skills, and the show “60 Minutes” in particular, Bob won a record number of 27 Emmy awards; he also won three Peabody awards, and held the President Award, given by the Overseas Press Club. Furthermore, he received the Edward Weintal Prize awarded by Georgetown University’s Institute for the Study of Diplomacy, for his contribution to foreign policy and diplomacy, and also received the Alfred I. duPont-Columbia University Award for his story “Shame Of Srebrenica”, focused on genocide committed on Bosnian people during the civil war in Yugoslavia. During his long and successful career, Bob reported from other countries such as the Falkland Islands, Portugal, Haiti, Somalia and Iraq, among many other countries, the number of which exceeds 60. Bob died after involved in a car crash in Manhattan on the 11th February 2015; he suffered a broken neck and head trauma, and was brought to hospital, however, the doctors only pronounced the time of death. Bob left behind his wife Françoise Simon, and their daughter Tanya. 2000 Peabody Award Peabody Awards For the international reporting for CBS News.